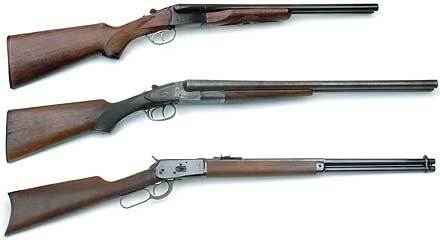 CAS, or Cowboy Action Shooting is a 3-gun event event where the shooter uses "Old West" firearms such as single action revolvers, pistol caliber lever action rifles, and old time shotguns. The shooting competition is staged in a unique "Old West" style. It is a timed sport in which shooters compete against the clock, target misses, and order in which the targets are engaged. The Single Action Shooting Society is an international organization created to preserve and promote the sport of Cowboy Action Shooting™. One of the unique aspects of SASS approved Cowboy Action Shooting™ is the requirement placed on costuming. Each participant is required to adopt a shooting alias appropriate to a character or profession of the late 19th century, a Hollywood western star, or an appropriate character from fiction. Their costume is then developed accordingly. Many event participants gain more enjoyment from the costuming aspect of our sport than from the shooting competition, itself. Regardless of a SASS member's individual area of interest, SASS events provide regular opportunities for fellowship and fun with like-minded folks and families. Cowboy Action Shooting is a multi-faceted shooting sport in which contestants compete with firearms typical of those used in the taming of the Old West: single action revolvers, pistol caliber lever action rifles, and old time shotguns. The shooting competition is staged in a unique, characterized, "Old West" style. It is a timed sport in which shooters compete for prestige on a course of different shooting stages. Each scenario, as they are called, features an array of situations, many based on famous incidents or movies scenes, in which the shooters must test their mettle against steel targets. On the first Saturday of each month, rain or shine. Registration is at 9am. Then we will have a short safety meeting at 10am and shooting afterwards. The Walnut Grove Rangers are a friendly bunch of cowboys. If it's your first time, feel free to come and watch one of our matches, meet us, and see what we are all about. We won't charge to watch. We suggest that when you visit us for the first time, bring safety glasses and ear protection. Any of the Rangers will be happy to introduce you to the firearms, equipment, stages, and people.